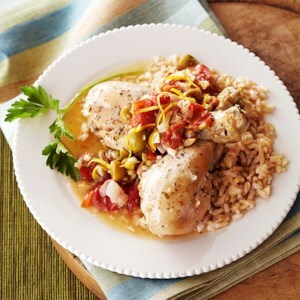 Find healthy, delicious budget chicken ideas, from the food and nutrition experts at EatingWell. 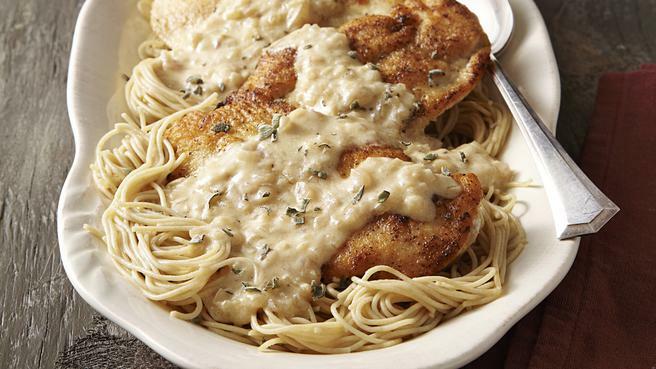 This easy dinner recipe tops chicken and pasta with a creamy mustard sauce for comfort food that's actually good for you! 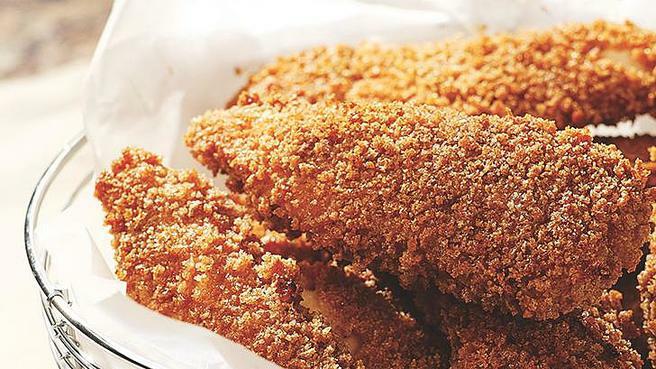 These crispy chicken “wings,” made with boneless, skinless chicken breast tenders, stay crispy with only a light coating of oil—no deep-frying needed. 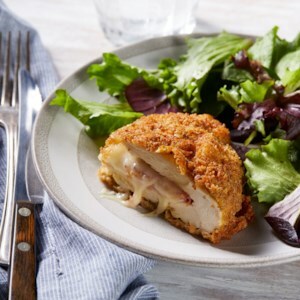 This classic chicken recipe for crispy chicken breasts filled with ham and melty cheese is baked, instead of fried, for a lightened-up, delicious dinner. 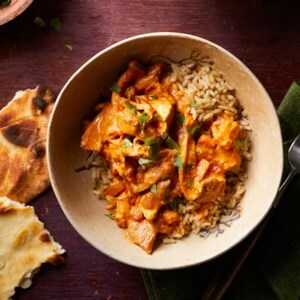 This classic Indian-inspired dish typically takes several hours to make, but we simplified it by skipping the traditional yogurt marinade and letting the pressure cooker infuse the tikka masala flavor into lean chicken breasts. Cayenne adds heat, while a splash of cream keeps the spice in check (add less cayenne if you want it less spicy). 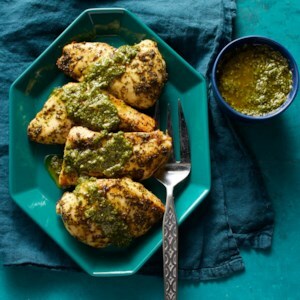 Serve over rice and with a piece of naan to soak up the sauce. 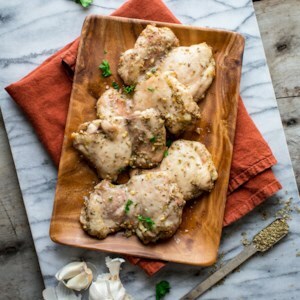 Slowly braising chicken legs in your slow cooker leaves them falling-off-the-bone tender-making them the perfect vehicle for the Greek spices recommended here. 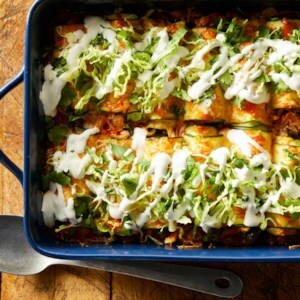 Using thinly sliced zucchini in place of tortillas is a great way to cut back on carbs and still enjoy cheesy chicken enchiladas. 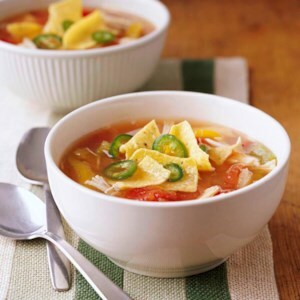 If you like the heat, opt for a spicy enchilada sauce. 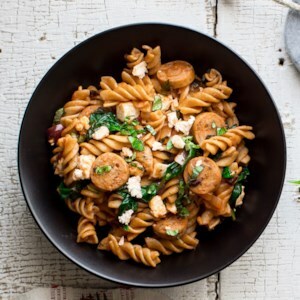 Convenient fully cooked chicken sausage is a great flavor starter for this easy pasta recipe with just three ingredients you can keep stocked in your freezer or pantry for fast dinners. 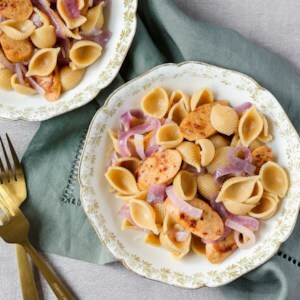 Just add some sautéed onions and pasta and you have a super-simple meal that the entire family will love. 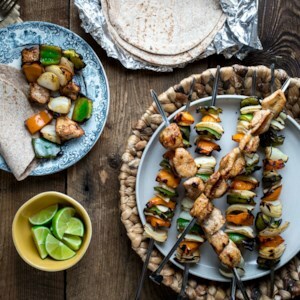 These grilled kebabs have all the makings of a classic fajita--seasoned chicken, onions and peppers. 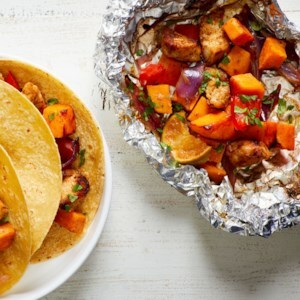 Warm a stack of tortillas in a foil packet on the side of the grill to turn the kebabs into an easy fajita dinner. 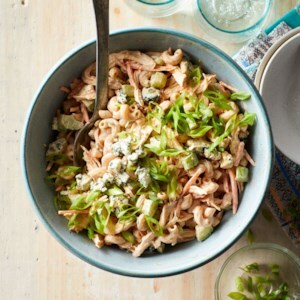 Or serve with lime-and-cilantro coleslaw for a grain-free alternative. 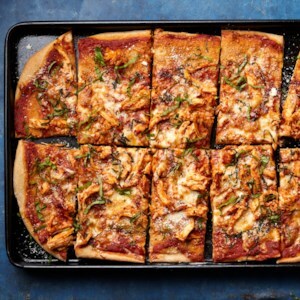 Upgrade pizza night with this recipe makeover that combines two all-time favorites--pizza and chicken Parm--into one quick and easy pizza (no dipping and breading required!). 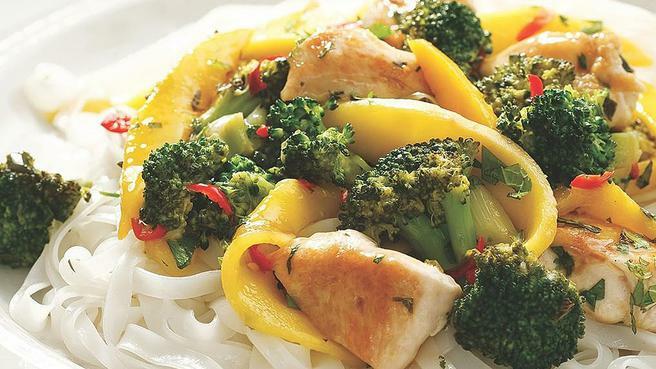 A little bit of Sunday meal prep goes a long way in this one-dish Mediterranean pasta recipe. 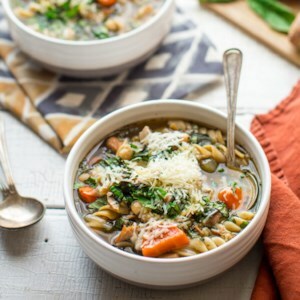 The pasta is cooked ahead of time and stored in the fridge to use for meals all week, but any leftover cooked pasta you have on hand will do. 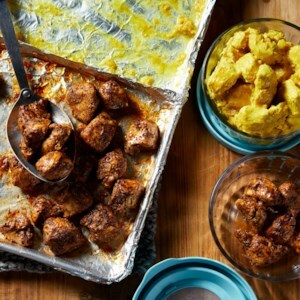 Chicken sausage with feta is especially good in this recipe. 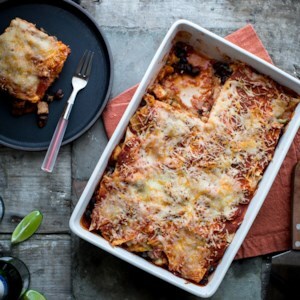 Casseroles make perfect meal-prep dinners--this enchilada version is so easy to prep ahead. 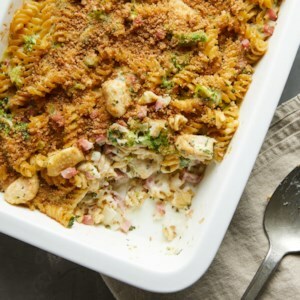 The whole casserole can be built and left to hang out in the refrigerator for up to three days. 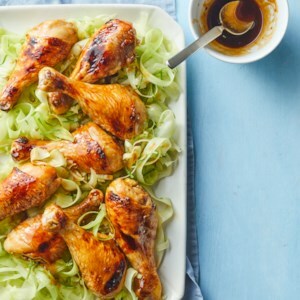 Then all you have to do is bake it off on a busy night and you have a healthy dinner on the table in a jiff. 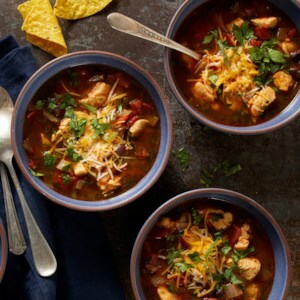 The quick homemade enchilada sauce in this recipe is great when you don't have any of the canned sauce on hand--just season crushed tomatoes with spices and salt for an instant enchilada sauce.